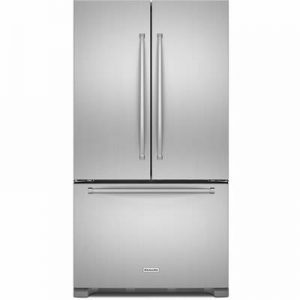 GE presents reliable refrigeration and plenty of storage capacity in a classic top-freezer design. For storage, the fresh food section features adjustable spillproof glass shelving, three door bins (one with gallon capacity), a dairy bin and two crisper drawer. 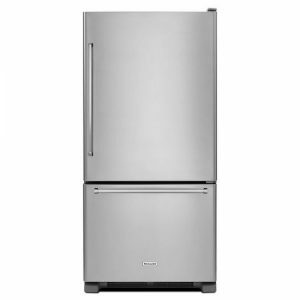 The freezer features one adjustable glass shelf and a spillproof floor. 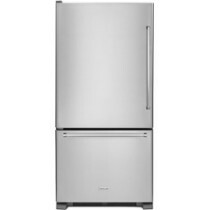 This refrigerator is equipped for GE’s IM4D ice maker (sold separately). Provide strong, flexible support. Spill proof glass contains spills for easy cleanup. Conserve shelf space by storing gallons of milk and other large items in this extra spacious door bin. Provide the perfect storage space for fresh produce. 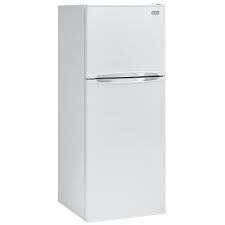 The GE ice maker IM4D (sold separately) can be installed quickly and easily in the freezer compartment. Spotlights your food items making them easy to spot. 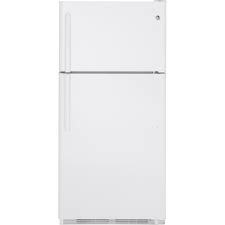 Contains any spills in the freezer for easy cleanup.